NUTRI-FIBER MOISTURIZING SHAMPOO PROFESSIONAL has been developed for all kind of scalp and hair in trichologist treatment, moisturises scalp and hair removing impurities such as existing dry desquamation. 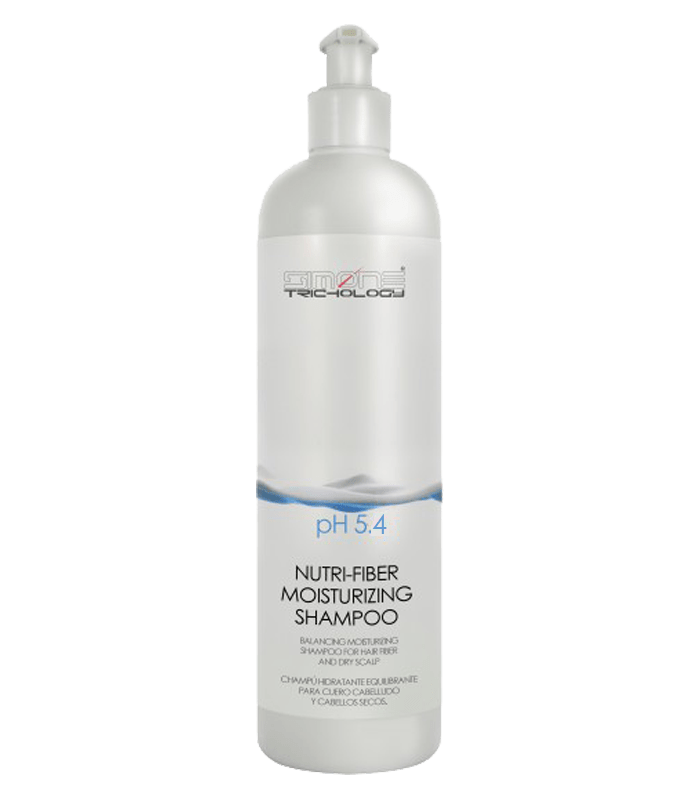 SIMONE TRICHOLOGY NUTRI-FIBER MOISTURIZING SHAMPOO PROFESSIONAL has been developed specially for all kind of scalp and hair in trichologist treatment. Its high contained in humectants and moisturizing actives, prevents the hair from losing its original water levels, contributing hydration and returning its thickness, sheen and natural gentleness. SIMONE TRICHOLOGY NUTRI-FIBER MOISTURIZING SHAMPOO PROFESSIONAL moisturises scalp and hair removing impurities such as existing dry desquamation. Scalp and Fiber Renew System Kit 66,55 € VAT incl. Hair Nutrients Royal Jelly Shampoo 17,71 € VAT incl.